At WOLF & YOUNG Ltd, we pride ourselves on a quality and professional finish which makes us the popular choice of painters, decorators and carpenters in the Watford and Rickmansworth area. Most of our work is carried out on private households. We are always conscious of keeping a clean and tidy working environment whilst striving to achieve the highest standard of workmanship with every job. Our company policy recognises the needs of our customers as the most important factor. 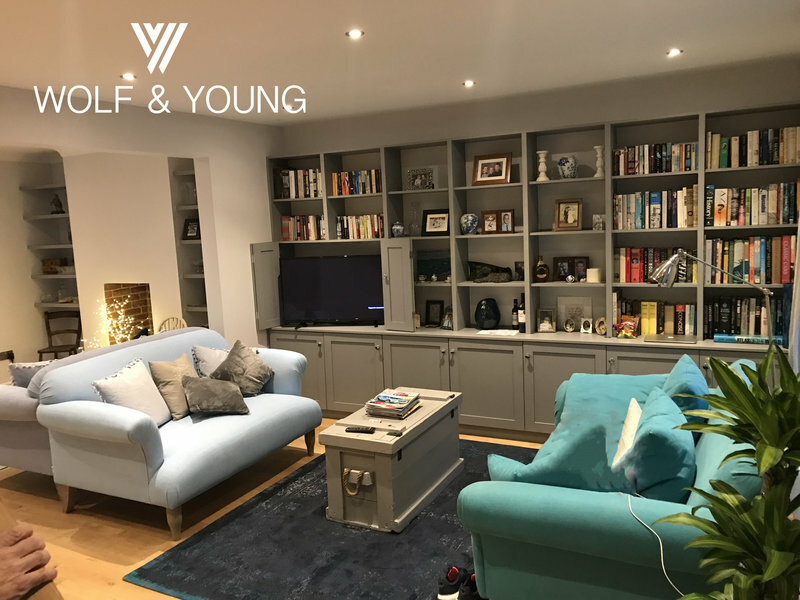 WOLF & YOUNG Ltd. is the ultimate small company specialising Painting and decorating, Carpentry, Complete kitchens and Bathrooms, Flooring and Tiling. We do not believe in cutting corners and only produce the quality of work that we would be content with in our own home. 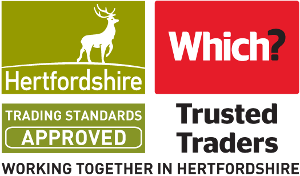 Our commitment to this goal has ensured that a high percentage of our business is from repeat, happy and loyal customers who are comfortable in recommending us to their friends, family and colleague. Excellent work, great end result. Helpful and considerate throughout. Excellent work , great end result. Helpful and considerate throughout. Worked hard to do dusty / dangerous tasks in hall whilst we and our toddler were away for the weekend. Would thoroughly recommend. 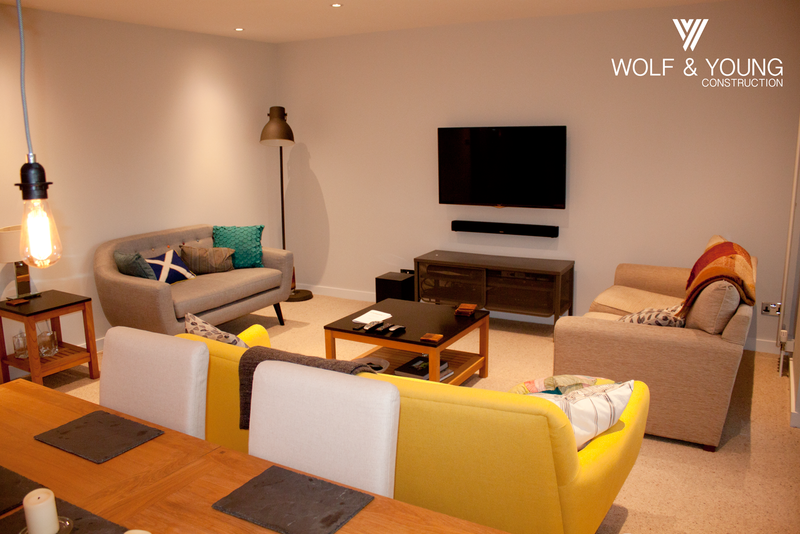 Wolf and Young have completed the renovation of two houses for us and are about to start on a third. 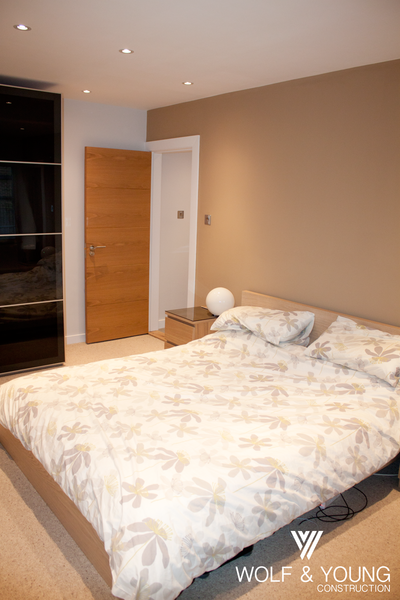 They are reliable, polite, tidy, well priced and their standard of workmanship is first class. We would recommend them to anyone. 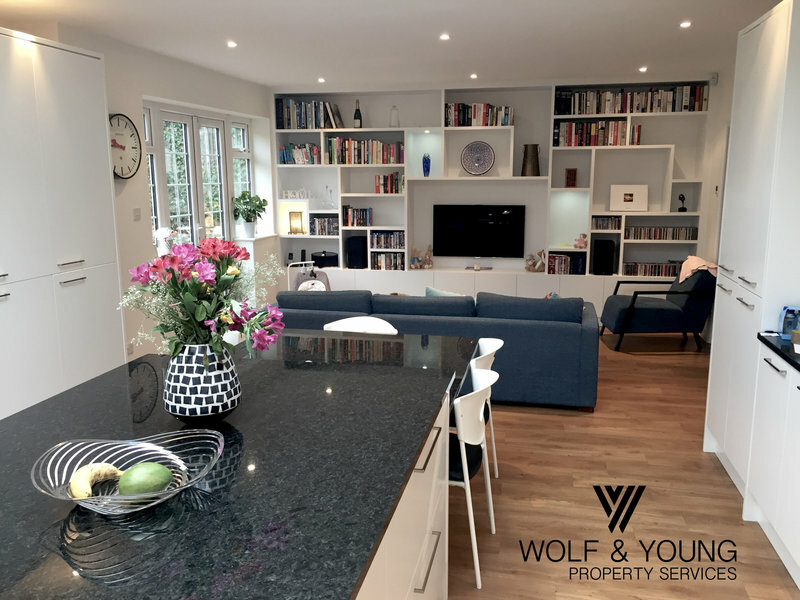 Wolf and Young prepared and painted walls, wooden kitchen cabinets and other woodwork inside and outside the house, laid new flooring and completed general repairs. From start to finish Atilla was highly professional and courteous. The work was planned meticulously and communication was excellent, which was important for us as we were completing the work from overseas. I trusted the decisions and recommendations Atilla made in our absence. The high quality of the finished work has received many complements. I would be very happy to use Wolf and Young again and to recommend them to others. 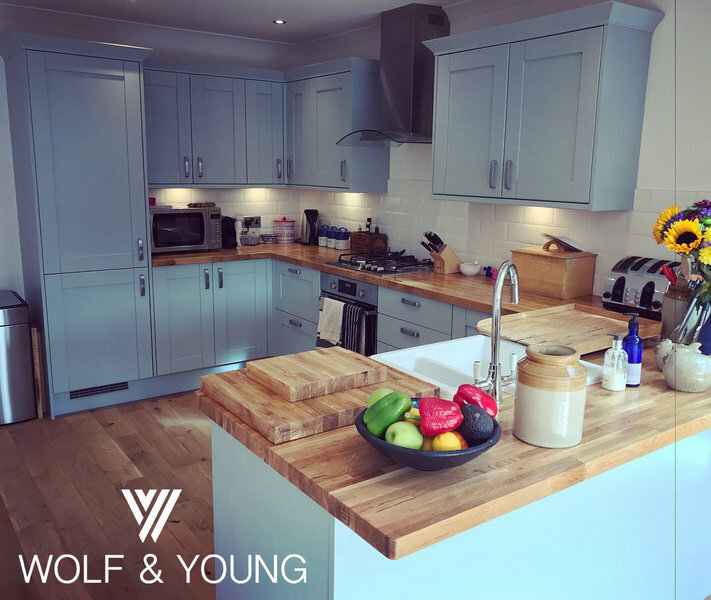 Wolf and Young has fitted an amazing kitchen. Attila has helped me to get the best quote from kitchen providers. He gave me all the practical advice and best workmanship. The staffs work attitude is seconc to none, all want the customer to have an excellent experience. They fitted new electrical, plumbing, kitchen units with built in appliances, downlights, plumbing to american fridge, travertine flooring. Looking forward to work with you again. We don't normally like leaving reviews. But felt we must in this case. This is because the only problem we have with Wolf & Young is telling you how great they are – we don’t want to let too many people on our secret! We’re very fussy with who we use or let in our house and there’s only one telephone number we would consider for any work done on our house now. 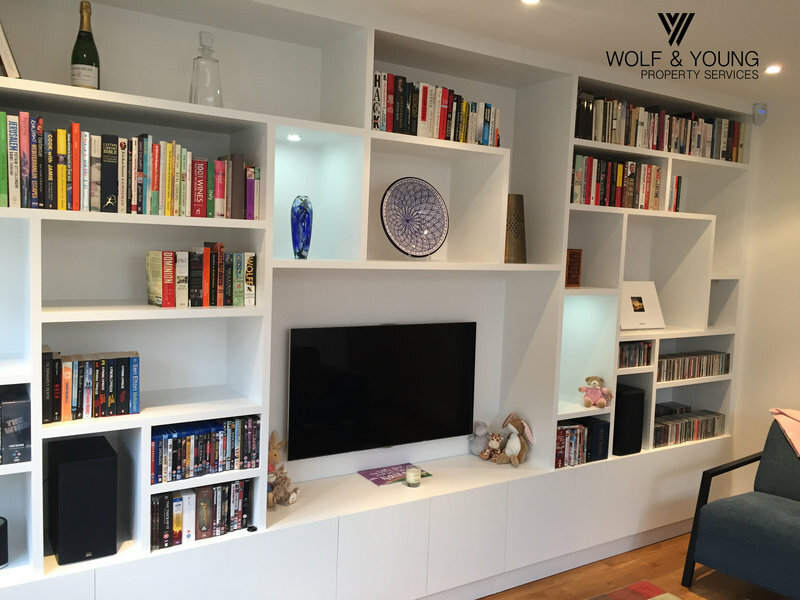 Wolf & Young are the model company which others should aspire to. They tick the boxes in all three three key areas: quality of work; service; value for money. Attila who runs the company is personal, responsive and incredibly engaged. He sets high standards and his team not only meet them, but exceed them. Every single member of his team who has worked in our house could not be faulted; courteous, polite, extremely hard working, knowledgeable, reliable and the quality of the work is top notch. We have used them for internal brickwork, painting, decorating, joinery, electrics and everything has been first rate. We are so grateful for all the help Attila and his team have given us - 10/10. We can’t fault anything. We wish everybody we dealt with was as good as Wolf & Young! Wolf & Young exceeded our expectations ! 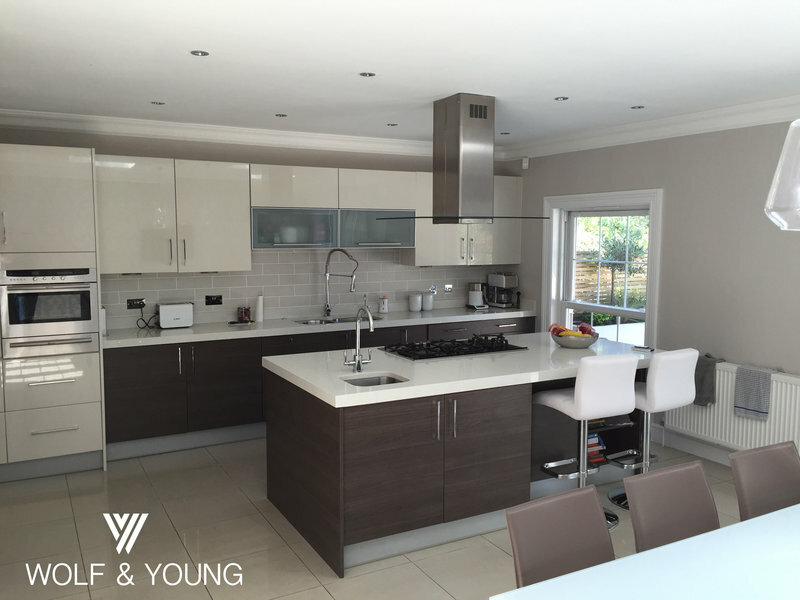 Being inexperienced in property renovation we were looking not just for a carpenter, tiler and a decorator. We needed a true partner to help us better understand our needs and budget associated with it. We live in a cottage and we wanted to keep the original look of the house. We were very luck to find Wolf&Young! Being extremely professional, reliable and 100% quality focused they have made the whole renovation project feel like piece of cake! Wolf&Young really are the best in the area. So don't hesitate using them and I can assure you will be very happy with the results! 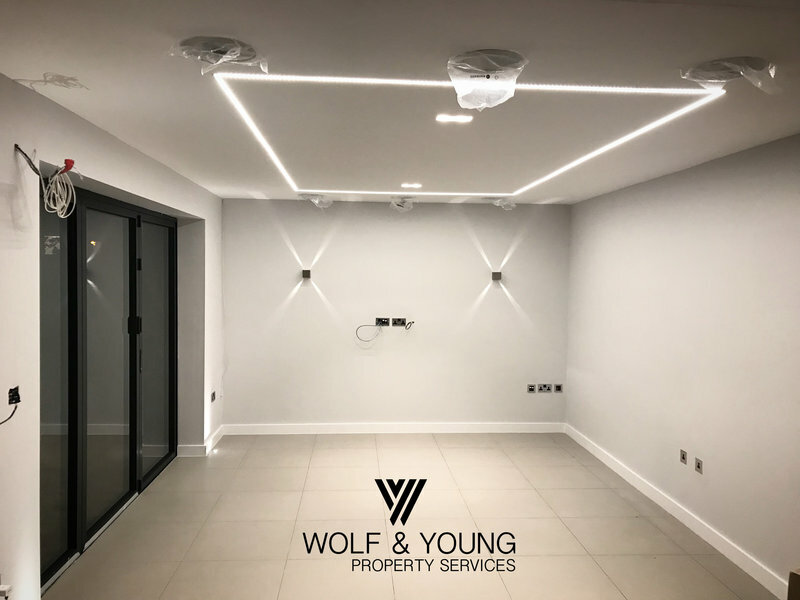 I first came across Wolf & Young on one of their jobs, I was so impressed with the high standard and attention to detail I took their contact details and hired them to carry out works on my own property. 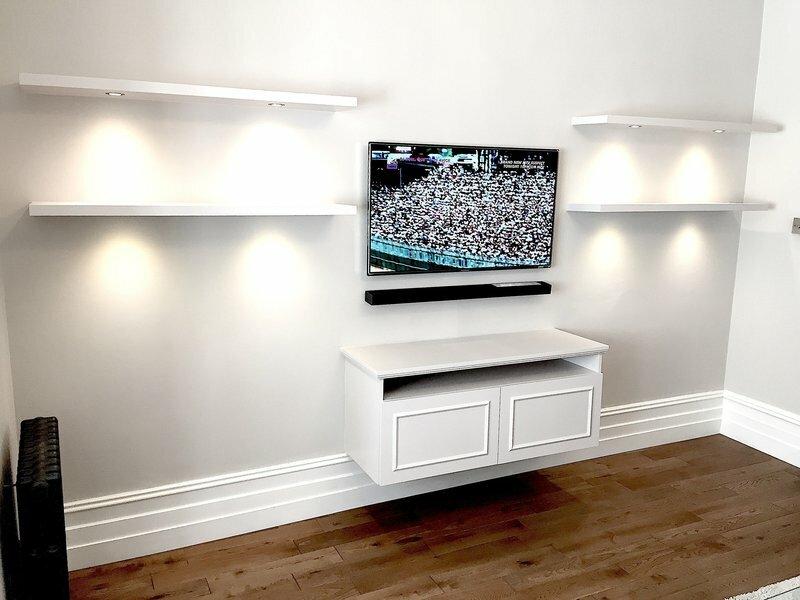 They completed the decorative works to the same high standard by reliable respectful and tidy workmen. I would highly recommend this company to anyone who wants a quality job carried out to a high standard. Giles Wellington. 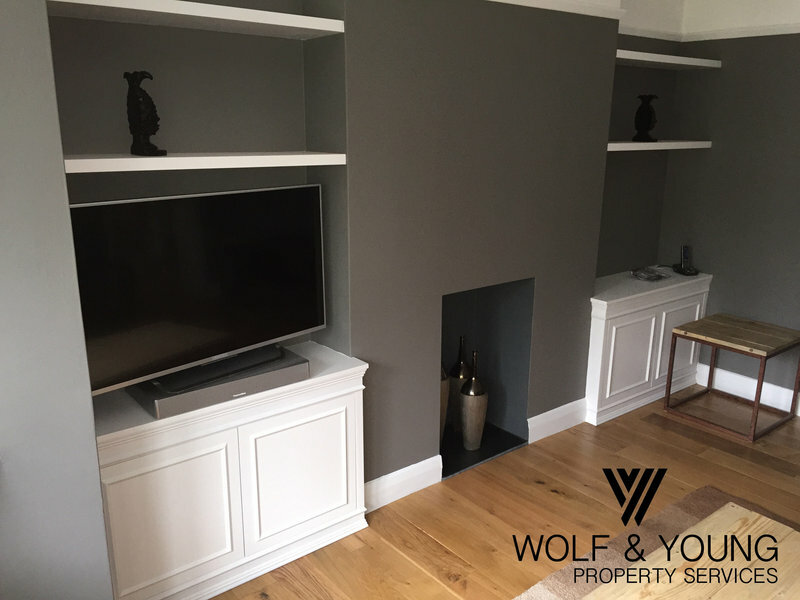 We had some bespoke cabinets built and fitted by Wolf & Young. They are highly skilled, courteous and efficient. I couldn't have asked for more and will definitely be using them again. Excellent work. Polite and very tidy.